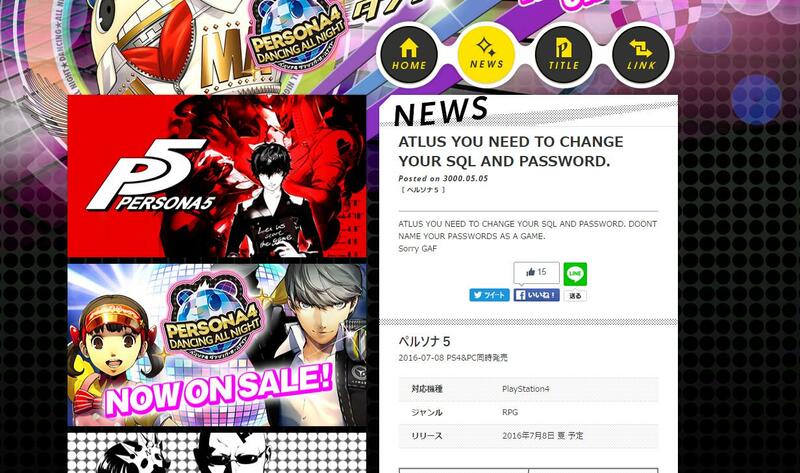 Update 16:45: It appears hackers have had their way with the Atlus site, so resume crying in a corner JRPG fans. Atlus’ news site is updating with bizarre posts referencing methods of breaking into the Persona Channel CMS in order to post fake news reports. If you’re still looking for role-playing action then we have the best RPGs on PC right here. 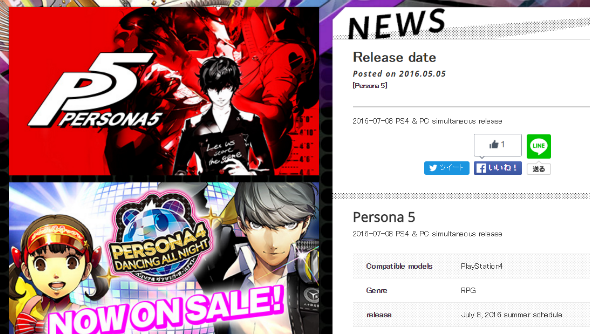 Original story, 16:37:A news post on the official Japanese Persona Channel site lists Persona 5 as releasing on both PS4 and PC simultaneously on July 8. Yesterday the Persona 5 launch site began a countdown to a time on May 5 in what many expected would be the release date announcement for Atlus’ new RPG. Now, a news post on the official Japanese hub for Atlus’ school-drama RPGs (forward-dated for May 5) lists the release date as July 8 and for both PS4 and PC formats. The last time an Atlus spokesperson discussed the possibility of a PC release was August last year when PR Manager John Hardin suggested it was “infinitely improbable”. @Mankind132 @rioichiFIN @KindaFunnyVids depends…do you have ready access to an infinite improbability drive? The timing of both the intended publish date of the news post and the countdown is too serendipitous to ignore, so I’d set your hopes back to “high” for this one, JRPG fans.